I've often wondered how best to approach discussing premature birth with Joseph. I know older children and adults who were premature who weren't told until they we were older, and were shocked and upset. I wanted Joseph to know his start, so that by the time he gets to school, should he need to take photographs in, or it comes up, that he's confident explaining why his start was a little bit different to the majority of his school friends. 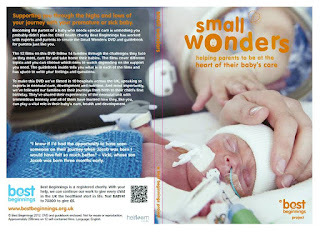 I haven't been able to find any books about prematurity written for children so, have just made it up as I've gone along. I am not really a photographer. We have no pictures up in our house, and whilst I take the odd holiday snap, I've never really documeted my life with pictures. When Joseph was born I felt a compulsion to take pictures often. I never went in to the unit without my camera. I felt this need to chart his journey and I am so pleased I did. I thought this was a good start, as he can see that we are with him, and it gives him a point of reference. He is only a few days old here, and looks small, but not poorly. He doesn't have breathing equipment on, although you can see what he calls his "spider legs", the little leads for his monitor. 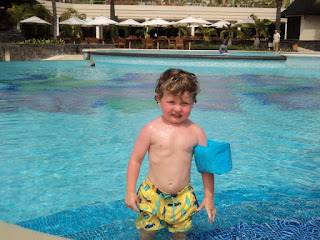 I have showed Joseph this picture of him, as I think its quite cute, although there is a lot of equipment. He understands already about CPAP that helped him breathe. In his arm is the long line, but I haven't explained that. He also knows about the pads on his chest, as they told the doctors when he needed a little bit of extra help. I love this photo and have used this one to explain about him being fed through his nose, until he was ready to use a bottle. 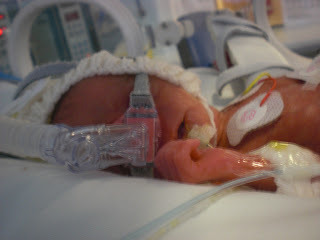 When I was telling him about my friend's new baby born this week at 25 weeks he said to me "will she have a tube like I did mummy, will she have a special box to sleep in?" I'm so proud that Joseph understands the basics of his start, and we can add more detail as he gets older. It helps me to feel less anxious about it as well. A friend of mine explained to me that her daughter needed to take photos into school in her first year, and she have her a choice so she could choose how much information she felt comfortable sharing. 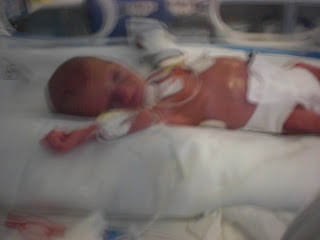 If you have had a premature baby, or a preemie in the family, how have you gone about explaining it? We were given the opportunity to review a gorgeous beach towel with Stuck on You. With summer holidays fast approaching, it's time to start thinking about taking some time off and getting away. The towel is made of soft 100% cotton. I was really impressed with the quality of the lettering, the embroidery is of brilliant quality and definitely won't unravel like some do. The colours are really vibrant and it washes and wears well. I think they are great especially for taking to the pool and for swimming lessons.I also think they are a nice gift for a special care baby. 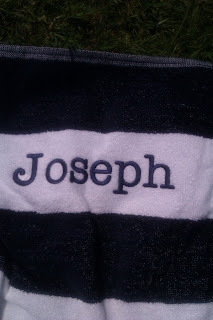 I often used big towels with Joseph to keep him warm, and it makes a lovely keepsake, and can be used for years. 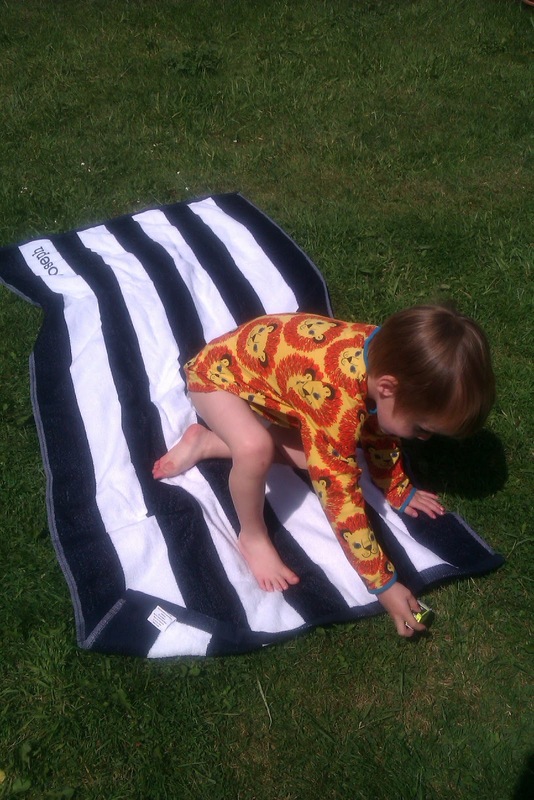 The size of the towel is very generous, 1400mm x 700mm and is suitable for all ages. They retail at £29.99, are available in 3 colours, and there's a lovely choice of lettering. Sadly, my great plan of a day at the beach and showcasing the towel in action has been thwarted somewhat by the ridiculous weather we've been experiencing, and the photos are in our garden! Yesterday afternoon a new baby arrived into the world. 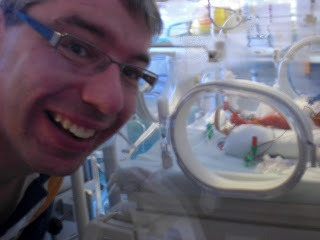 I have discovered, that despite having one of my own, writing a blog, working in support for parents of premature babies, that I am as clueless as the next person. What to say, what to do, what to think. This dear baby was born at 25 weeks and 2 days. She is a girl, she has a beautiful name. She is loved. She weighs 1lb 9oz, just a smidge more than Joseph did. The thing is, the reason I know her mum (and dad) is that this isn't the first time they have walked this path. They had triplets at 25 weeks around the same time Joseph turned one. 2 boys and a girl. The boys came home, the girl, very sadly, lost her fight after rallying hard. None of my resources that I have at my disposal are really of much use. My friend knows what is around the corner, what the journey is like, and the complications that can arise a long the way. No need for a care package with Tommy's resources and the Small Wonders DVD, she could have written them both. And that, I think, makes it worse. Her hope and innocence are gone. And so is mine. I know all we can do is wait, and hope, and pray. This time my friend got great care, regular FfN tests, a cervical stitch, brilliant monitoring. However, she had pregnancy loss in between. Her triplets early birth was put down to the "multiple factor" initally, but the loss of a baby at 16 weeks proved there was an issue, and a good plan was put in place. But still the baby has arrived. It makes me cross that we can't do better than watch and wait. She had two positive FfN results, but so have friends. And they have gone on to have near term babies. Pre term birth is still such a mystery, and its just breaking all of our hearts, our big circle of premmie mums that are surrounding this family in love, prayers and positive thoughts. There are no easy answers. Monitoring is wonderful, interventions, however, are few. And contentious. No one really can predict how a pregnancy will go, and no one can stop a pre term birth with any degree of accuracy. Some can be stopped some can't. However this much I know. Where there is life, there is hope. Where there is love, there is peace. We pray, we hope, we love. And we take each moment as it comes. 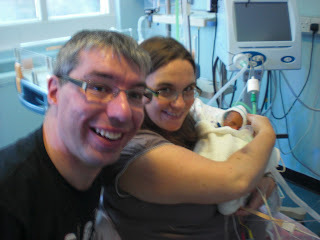 The family have given me permission to blog about them today. Britmums are presenting the Brilliance in Blogging Awards on Friday, and I am shortlisted in the Inspire Category, which I am really excited about. Can I let you in on a little secret though? I hate this category. The reason I hate it is that every single blog in the Inspire category is utterly fabulous, and I read pretty much all of them on a regular basis. I want to introduce you to my fellow bloggers, if you haven't come across them already, do yourself a favour and check them out! 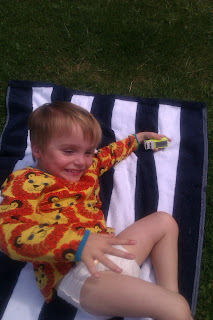 A Boy With Aspergers Claire Sarcone is one of the nicest (and maddest) mummy bloggers you are ever likely to meet. Her blog is truly inspirational, and Claire works tirelessly to help other parents who find themselves battling with special needs provision for their children. Claire left me for dead won the MAD Blog Awards in my category last year! Crystal Jigsaw Kathryn was one of the first bloggers to visit me and comment regularly. She is a deeply encouraging person. What I love best about her blog is the amazing photos she takes of her beautiful farm and her stories of farming life. She is an amazing writer, and a special needs mum to her daughter. Doing it all for Alleyna I met Alex at the MAD Blog Awards last year. She also has a daughter with special needs (I love how she calls global developmental delay another term for "haven't a bloody clue"), and she's another really encouraging blogger. Her special needs round ups are well worth following up on the Britmums blog. Down Side Up I really adore this account of life with an amazng girl with Down's Syndrome, and there are some fantastic posts that are well worth reading like What to Say When A Baby is Born with Down's Syndrome. I am really looking forward to catching up with Hayley at Britmums Live and finally meeting her. Mummy Whisperer How my heart sank when I saw the absolutely stunning Lisa Pearson in this category. Lisa is a magician. She can take stressed out women with too much on their plate and turn them into organised, confident, happy mums with happy children. It's true. She's written a fantastic book, click on the blog to see how to order, and find yourself deeply inspired. She also looks amazing in a fairy princess dress! Walking with Angels A beautiful blog about raising children, and about grief too, the author's daughter died due to complications from Rett Syndrome, they have started a charity in her name Livvy's Smile and also foster special needs children. Was is this in the Plan? This is a very moving blog about a family with four children. The youngest, Daisy, has a condition called Costello syndrome. This blog is a very moving account about life with a child with complex needs, and also the oldest child, a son, has Asperger's Syndrome. I really love this blog, its insightful and tells it how it is, and its not always easy. So you can see I am up against it! But I don't mind at all what happens, as we're all doing amazing things and are all winners really! It's not Father's Day for my dad, that's September, so today is all about Corey, my husband, dad to Joseph. When we first started going out, Corey said that he didn't want children. I did push him, I was a little tiny bit sad, but at 34 had come to terms with not being a mother. One day, out of the blue, he said "when we have a baby", he changed his mind. Corey knew I was pregnant before I did, and pressed me to take a test. We were both over the moon, newly married and expecting a baby. It was stressful at times, wondering how we'd make it work, with little family support in a one bedroom flat, but over all we just couldn't wait to see our baby. When Joseph was born at 27 weeks, Corey really stepped up, he was inspirational. He immediately bonded with Joseph, visiting him regularly whilst I was in HDU, taking pictures, finding out information and keeping me in the loop. He maintained going to work, looking after me, and our new, poorly son. He was fantastic. As time has gone on, he has really grown as a dad. 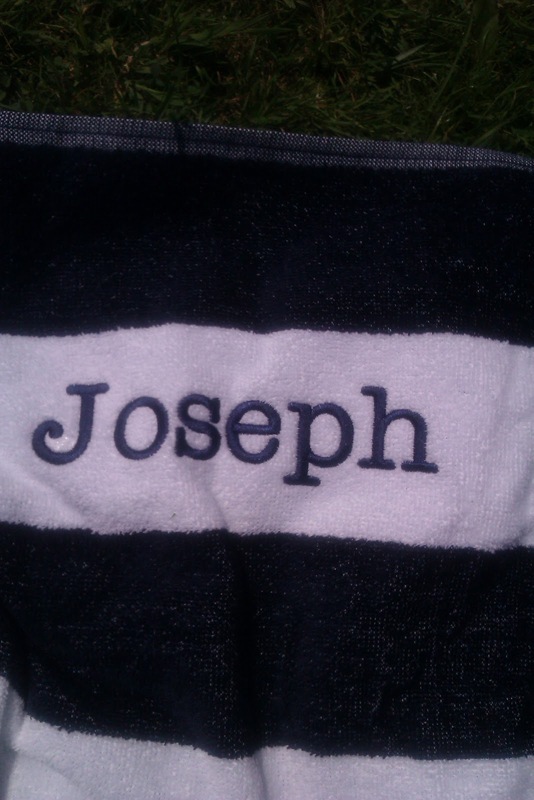 It's his job to teach Joseph about football and cricket, they go to the park together, play together and have a ball. I am so proud to have seen Corey mature as a dad, and he's awesome. This week is Diabetes Awareness Week. In this post I want to do two things. Firstly I want to share with you a very powerful video. I want every parent to be able to spot the symptoms of Type 1 Diabetes. It is important. I first learnt about diabetes at the age of 7. I was on holiday with my parents on Cape Barren Island and we were watching the ABC in the afternoon, when it was cold and rainy outside, and they showed a documentary about children living with diabetes. It really shocked me, how these children had to live and it made me sad for them. I had asthma, and I knew how debilitating that could be, but this just was a whole different level. Diabetes doesn't have to be a sad story, but its important to be Type 1 Aware. 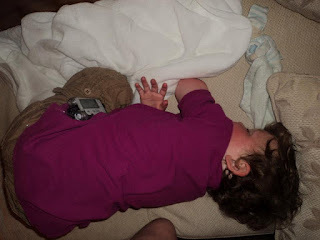 Secondly I wanted to share with you a story about a young child living with diabetes and I am thrilled that a good friend of mine, Joanne has agreed to share her son's amazing story. Please watch the video first. 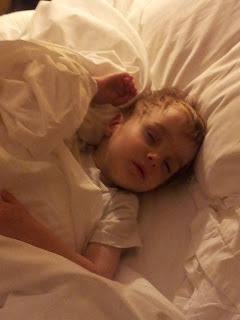 pale, he was vomiting and was exhausted. repeated blood tests and gave him injections. He cried, screamed and kicked and my heart broke. increasing and that would have been fatal. got used to having the injections- at least 5 a day. the injections. Danger was forever round the corner. of ½ unit increments and we needed much smaller doses to be able to control things well. and ill. 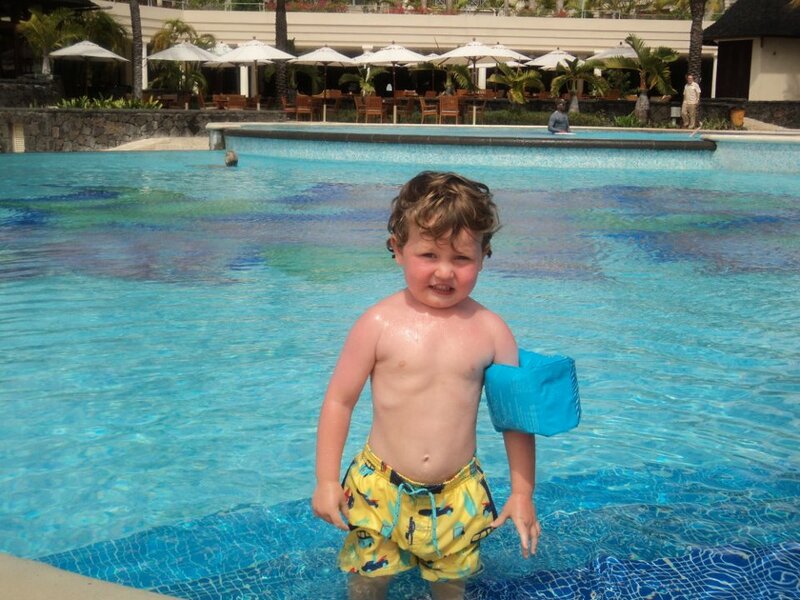 He has one needle every 3 days when we swap the cannula of the pump instead of 5 a day. But it is not the total answer. Ben still has to have multiple blood tests every day- up to 20 a day. doctors can’t cure it now Mummy. cure for Type 1 and for better treatments until that time. Hope is in a cure. Thank you Joanne for sharing Ben's story. Hope IS in a cure. If you would like to help in a practical way you can donate or fundraise for JDRF or Diabetes UK. Follow the links provided. I cannot believe that I find myself writing about walking and Joseph yet again. I thought this was all sorted and I just want to bash my head against the nearest wall. I was looking back in my archives and found this post, and I right back there again. 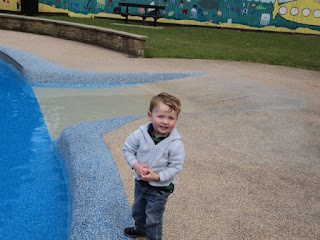 Yesterday I had trip to Joseph's preschool to have his review, he has two a year, which I personally don't feel is adequate but hey ho, that's what the local authority thinks is reasonable and who am I to argue with authority. Overall the review was very positive, Joseph is coming on in leaps and bounds, his social skills and communication skills are improving very quickly, and his numerical ability is great. I was very pleased to hear that he is doing so well. However preschool have noticed that his walking is immature. For some reason they hadn't documented my conversations relaying back meetings with orthotics etc, and hadn't noted that he is hypermobile in his hips and knees and to a lesser extent his ankles. I feel really frustrated, because she started mentioning physio, exercises, even making adaptations to the room layout to accommodate him! I had no idea that this was such an issue, and what is really frustrating is that no one else appears to care that much. Physio signed him off once he took his steps, as did his neonatal consultant, and orthotics just say to let him develop normally and he'll improve over time. The preschool coordinator has suggested we go back to the health visitor, which I will do today, but now I have no idea what to do. We don't have a named health visitor anymore. 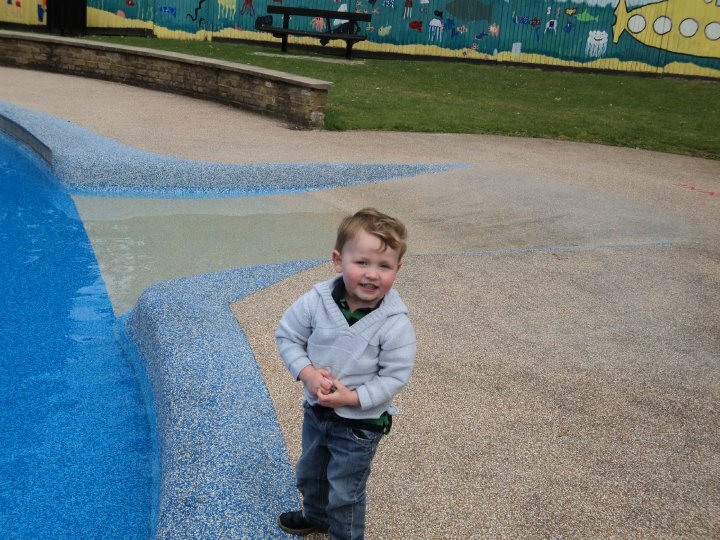 The team at the sure start centre don't really seem to know what to do with Joseph and his weird walking. I don't know whether to go back to the GP and ask for a consultant referral, or just return to orthotics. It's just really baffling me. And, what's underpinning this for me is that I can hear Shirley Bassey singing in my head. I know, scary isn't it. When I was a child the very same issues beset me, and it feels like history repeating. I walked later than Joseph. Was never particularly physical. I'm still hypermobile in my hips but it doesn't affect my day to day life at all. I still kinda do the weird robot walking to an extent, over compensating in my pelvis in case I wobble and fall. My gut instinct is that Joseph needs more encouragement to be physical, and choose physical activities that interest him. I am going to look for a street dance class for him, and start looking for a ball skills class too. I just think that because he knows he's not as physical he chooses more sedentary tasks that he is good at. See there it is history repeating. Reading age of 7 at 11 years old, but couldn't catch a tennis ball one handed, so sent to a special school. Yep that was me. Joseph needs me to be on his cheer squad, to find creative ways around this, and help him develop at his own speed. Wish me luck. Any advice gratefully received. The Britmums blog prompts are back, huzzah, and this weeks could have been made for me. The prompt is "What You Never Expected When Expecting". 1. I expected pregnancy to last 8-9 months You do, don't you? Most pregnancies go to term so why would you think it would be any different for you? Even when I knew things were going pear shaped, I thought there would be something "they" could do, bed rest, medication, something. I never ever expected to have such an early baby. 2. I expected morning sickness to, well, be in the morning The man (has to be) who came up with "morning sickness" should be shot. At very close range. Without a blindfold. After having been forced to eat 7 packets of gingernuts. I felt sick from the moment I woke up til I went to bed, with a "window" between 11 and 3 where I felt reasonably. I lived on fish, salad, loads of veggies. I was concerned that I wanted to eat well and not waste time eating rubbish. Good call as it turns out. 3. I expected pregnancy to be a happy, healthy time complete with glowing I wanted to glow, dammit! I wanted to be proud of my body, to revel in my changing shape, to enjoy this growing life inside me. I didn't expect to feel like utter rubbish, to beat my 4 pregnant colleagues all due in May/June, and to have a premature baby. I never glowed! 4. I expected to be treated with respect and kindness One of the biggest let downs of pregnancy I had was to learn how patronising doctors and other health professionals can be. I had a couple of incidents where I thought to myself "is this for real? I am a mid 30s woman of reasonable intelligence how can you speak to me like this?" 6. I expected to attend and enjoy antenatal classes I couldn't wait to attend my classes, and was really looking forward to attending with my husband, and I know he was looking forward to it too. I couldn't wait to make new mummy friends. No matter as I got a great bunch of friends from NICU and now social media so all's well that ends well. 7. I expected bump pics, bump painting, bump casts, the works I was so excited to be pregnant I started looking at casting kits and specialist photographers. I feel so sad I never got a single bump picture, much less a keepsake from that time. 8. I expected to be scared of labour I never had one of those, but I thought going into labour sounded really scary. I did think I'd end up with a section, and was very surprised at the happy memories I have of Joseph's delivery. I am really grateful that all the staff worked hard to make that delivery as happy as they could. 9. I expected pregnancy to be a time of learning and self development and I was not disappointed. Though at the time feeling sick and terrified every day was pretty horrible, I had a great counsellor during pregnancy who taught me to trust my body and my instincts. He also taught me self hypnosis and guided relaxation which I still use now. 10. I expected to come home with a baby and I did. My heart goes out to all the women I have met on this journey who have not taken their babies home. And as sad as I may be about my expectations being dashed, I can only learn from what happened to us, and work to help others. All of us who are pregnant expect to bring their babies home, lets work together to make that a reality. 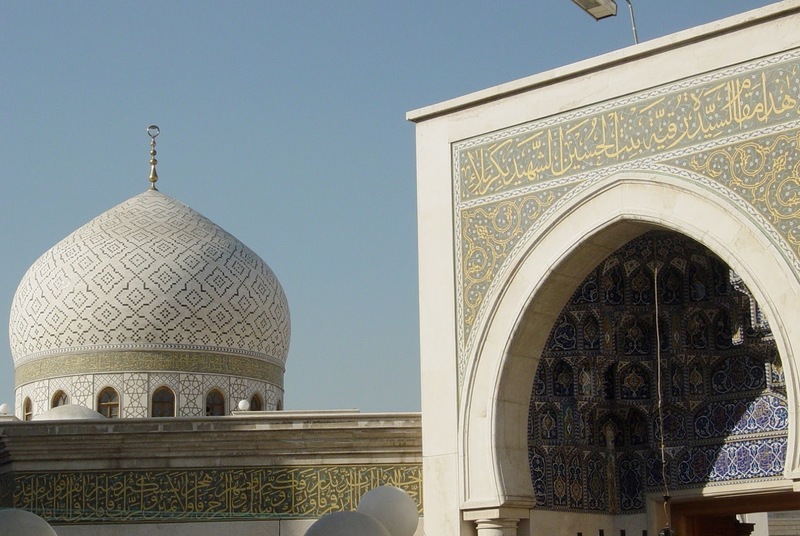 Campaigning for Bliss - What is it All About? If you read my blog post yesterday you will know that I attended a Bliss Campaigner's Training Day. 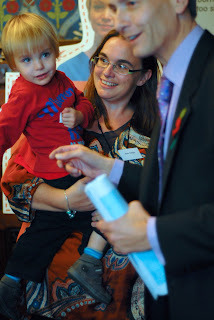 I started to think about campaigning in the run up to the last election, and emailed my local MP David Nuttall. Bliss make it so easy and if you want to get involved in even just a small way visit the website and find out how. I met with my MP at Westminster in November last year, but since then have gone a little cold. The main reason being is that as well as having a lot on in my own life, neonatal services in the Greater Manchester area have gone through a gigantic shake up, and now I am ready to get going again. So just what are we campaigning for exactly? Bliss' latest campaign is SOS Save our Specialist Nurses. So just why is this so important and why do they need saving? Not all nurses are equal. All nurses are vitally important, but as you can appreciate within nursing are a number of specialties. Looking after the smallest, sickest of babies takes special training, experience and qualities. Not only are you nursing that baby, but you are looking after the whole family, and training them, so that in time they can take over the care of that baby. When Joseph was spending his 24 days in the Intensive Care Unit we had a team of amazingly brilliant nurses. They stayed calm, they taught us his care, they anticipated problems. The biggest thing that three of my favourite ones did for me, was tell me when I needed to fight. There were a couple of times where there were controversial things being suggested, and they would give me a heads up as to best practice, and give me information. What is a specialist nurse and why are they under threat? 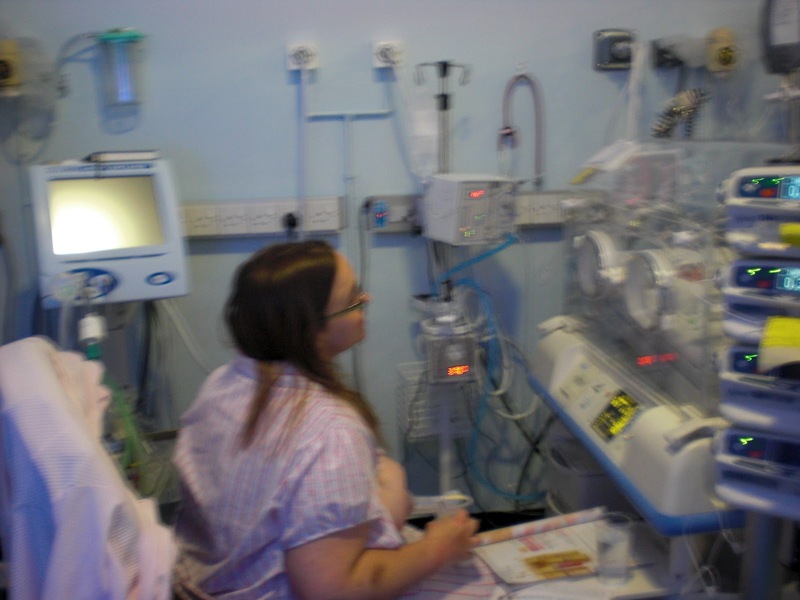 A specialist nurse is one who has done post qualification training in neonatal care. 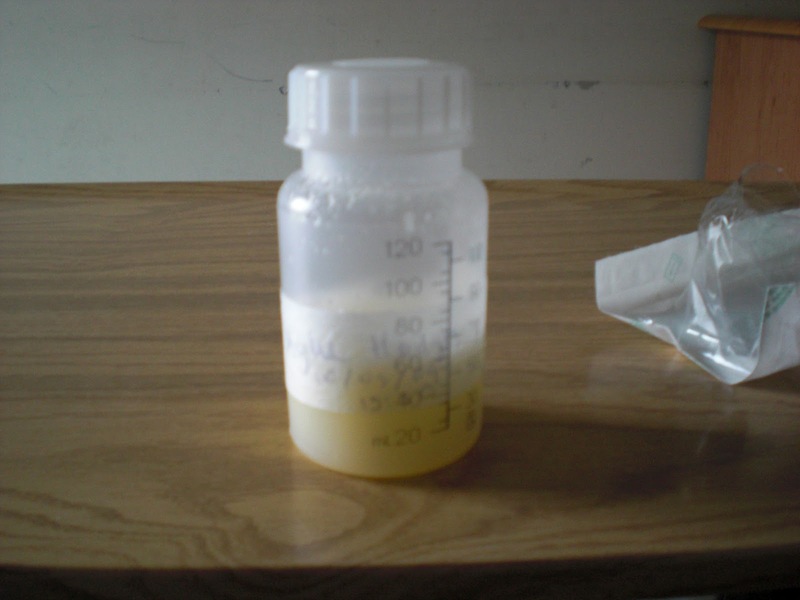 A nurse can work in a unit without this, but usually under the supervision of experienced staff. The Neonatal Toolkit, a Department of Health and NHS document, states that the benchmark is that 70% of nursing staff should be qualified in specialty. Some units are hitting this benchmark, but worryingly this is not the case for all units. What is happening now under the current financial pressures is that the NHS is being asked to make efficiency savings and cut their expenditure. This part of the Bliss campaign website explains more about how this is being done. My next steps as a campaigner are to ask my MP to find out our updated figures for the number of specialist nurses in our units. The figures I currently have are before reconfiguration and I need to know how this has affected that figure then act accordingly. I hope to meet with my MP in the lead up to November's activities, and see how we are doing, and where we need to go from here. Campaigning is as involved as you want to make it. 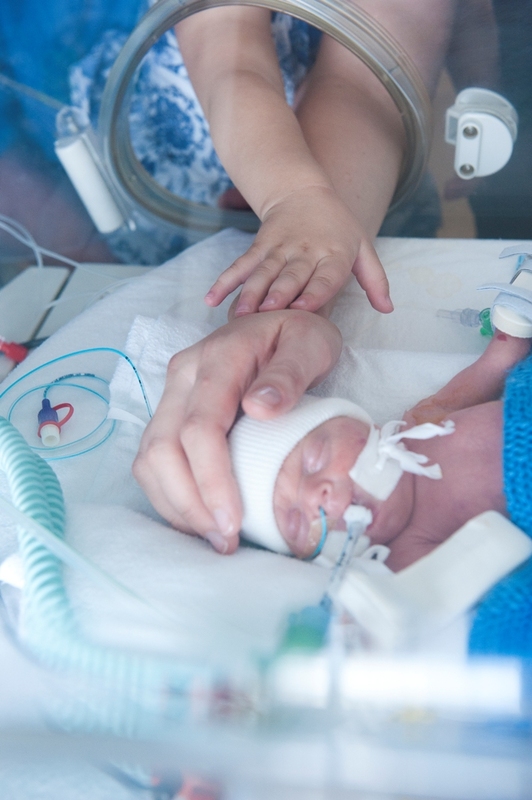 If you just want to send emails or letters, then that is fine, but I would urge you, that if you care about the care these tiny babies receive, that you join me in campaigning to save our specialist nurses. Apologies for the radio silence over the past two days. I was whisked away to the Norfolk coast for a few days, to relax and recharge. The weather was typically British, but in between the showers, we managed some fun times like donkey rides on the beach and stuff. Unfortunately my smartphone is still out of action so not much in the way of pictures for me until I have it sorted. Whilst I was away I went to London and visited the lovely Lissy Green at Bliss, who is immensely passionate about volunteering, and I came away from the meeting full of ideas and inspiration. And, she has put a daft idea in my head about doing a half marathon next year, but we'll see. My poorly knee is still bad so off to the doctor this week. It would be an amazing achievement, and if I pick somewhere pretty to do it, that would be a good thing. I then met with the amazing Vicky and Dawn at Tommys. I'm really excited about seeing them both at Britmums Live, which is less than a fortnight away! If any of you are coming to Britmums, look out for them, and come and say hi. Tommy's are just fabulous to work with from a blogging point of view and I'd have got a lot out of blogging for them, and learnt so much. Saturday was spent with some amazing parents, all of whom campaign for Bliss, getting our politicians to stand up and take notice of the tiny lives we fight for. There is so much pressure on neonatal care in terms of the NHS rationalisation and changes, and small babies get easily forgotten. I've come away with renewed focus and determination to get on with more campaigning and fact finding in our area, especially after all the changes with the Making It Better NHS initiative in our area. 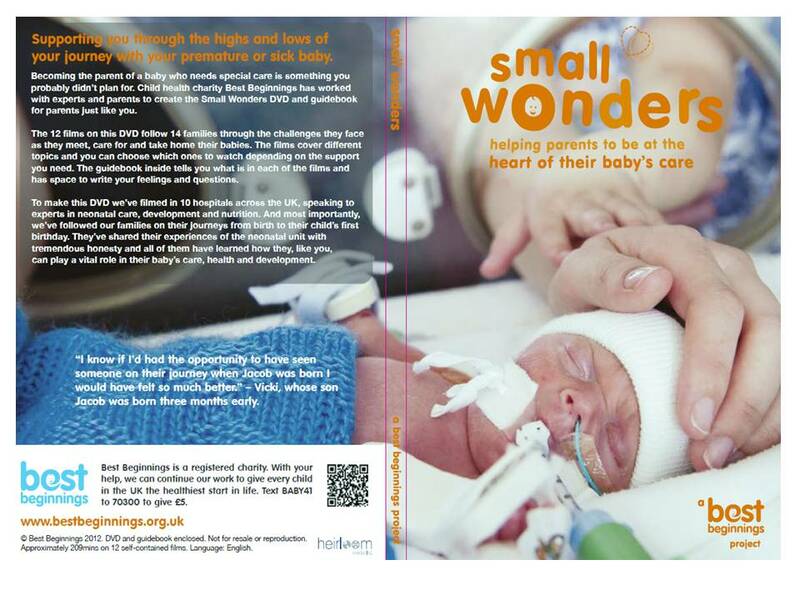 I was really inspired by the other parents, and their determination, their stories, and their desire to do something for other babies and parents, finding themselves in a neonatal unit. I hope to bring you news of our progress. 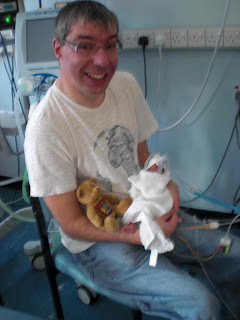 I am also hoping to persuade some of the others to join us in blogging, as its such a great way to bring a positive message about premature babies to the world. Normal service has been resumed, and I'll be bringing you lots of news in the coming weeks I am sure! I was alarmed this week to read in The Telegraph an article titled "Premature babies more likely to suffer mental disorders as adults." How to terrify a parent in one easy step. Concerned, I read further, and have look at some other source articles as well. About this research: The babies studied were born between 1973 and 1985 and experienced their first episode of mental illness by 2002. The study looked at every person admitted into a mental health facility and then investigated the circumstances of their birth. The mental illnesses identified were severe depression, schizophrenia, psychosis and bipolar disorder. Are there any recommendations: Personally the Telegraph article, and others in a similar vein including on the BBC website really annoyed me because it didn't report the recommendations arising out of the research. Dr Nosarti goes on to say that very premature babies should be monitored carefully and offered additional support and intervention as appropriate. We know that the outcomes for serious mental illness are much better if its picked up and treated proactively, and in the community if at all possible. What I think: I think first of all we need to bear in mind that a lot has changed in early intervention, and pregnancy care since the last of these babies was born in 1985. We often think of corticosteroid therapy as essential for lung development, but improved lung and respiratory care means better brain development. Also back in the 1970s and early 1980s neonatal care was vastly different than what we have now. Parents often did not have the opportunity to interact with their tiny babies, some weren't even allowed on to units at all, now we have kangaroo care, developmental care, and parents and babies are encouraged to bond very early. I know Dr Nosarti is concentrating on biological factors, but I do think sound developmental care of neonates makes a difference to brain development, from what I have witnessed and read. I'd love to see this research repeated in 20 years. some of the people in the study were born "40 years ago and that neonatal clinical practice to limit neurological damage has been transformed over the past four decades, with significantly improved outcomes seen today." 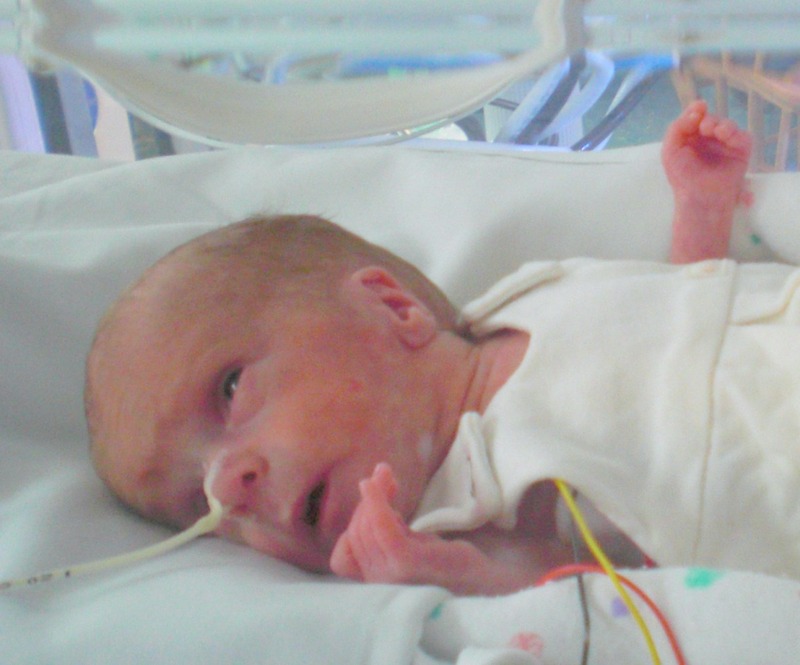 I think, like many of the other studies, this information is useful for professionals, and if its used to be proactive in ensuring our premature babies get excellence in care well into adulthood, then that can only be a good thing. It also needs to be taken into account by professionals that prematurity can have lifelone effects, and should not be discounted as a factor, throughout the life of that child. However scaremongering, and making already worried parents more fearful than they already are, is a bad thing, and I do think this could have been much better reported by the UK press. 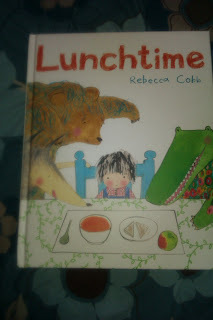 The kind folk at Macmillan sent us a lovely book to review called Lunchtime, by Rebecca Cobb. 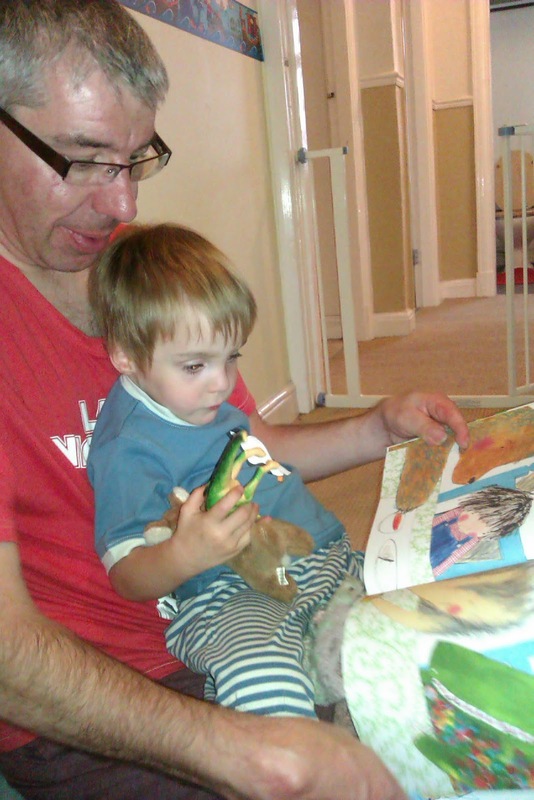 The book we were sent is hardcover, which is my preference for reading, we find it much easier to read hardcovers to Joseph as he perches on our laps. 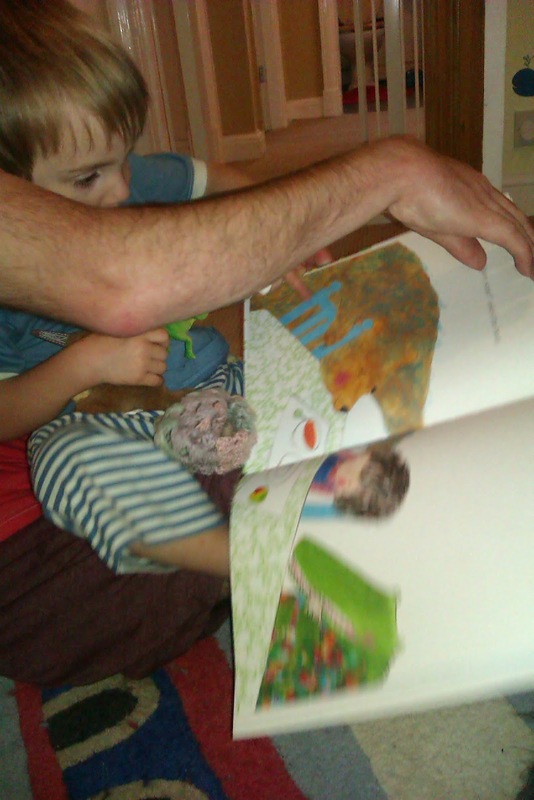 From a parents perspective, I love the illustrations. They are hand drawn, there is lots of white on the page so the illustrations of the small girl and her animal friends are vibrant and really stand out, making it easy for a young child to follow the story. There's a great ratio of words to pictures on the page, and the story is short and snappy, so perfect for 2-5 year olds. The story is quite funny for grown ups too, particularly, like me, if you have been waging the fussy eating war, or the "I'm too busy to eat mummy" war as we have, it's a reassuring read! We often have dinosaurs sitting at the table, who threaten to eat Joseph's food if he doesn't eat it first, so I think he related to it well. Joseph responded well to the story, and laughed at the animal characters. He repeated the words, which is a sure sign of acceptance. The illustration style reminded me of "The Tiger Who Came to Tea", so I wonder if that's what lead to Joseph willingly accepting a new book! I would highly recommend this lovely book, and I think its one of those that would become a firm favourite and because of the way it is written will become one of those books that makes the transition from a book that is read by the parents to being independently read. Well how did that happen? 40! 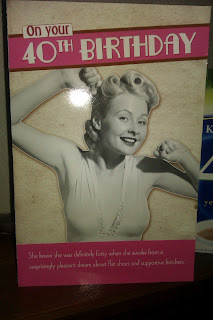 Is it me, but when I was a kid 40 seemed impossibly old, but now I don't feel a day over 21! I'm quite zen about turning 40, it's just another number, isn't it? And milestones are always nice to reach, and pass, quite sobering to think the next stop is 50! So much has happened in the last 10 years since my last milestone birthday, settling in to my new country, meeting my husband, having a baby, starting a blog (which in some ways is a lot harder than making a baby). Thank you to all my friends and family who have mopped up my tears, shared my joy and carried me through the last 40 years, and here's to the next 40! I leave you with one of my favourite songs, sung by a favourite artist of mine, that mentions my date of birth! 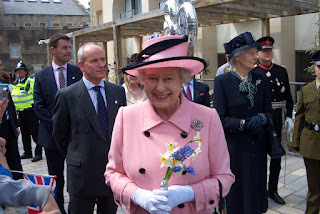 Don't get me wrong, I am very fond of our Queen and Royal Family. I swell with pride when I pass Buckingham Palace. My beloved grandmother was a Royalist, and always wanted me to move to England, she'd be thrilled that I live here, have married here, and have a child. Her sister attended a Buckingham Palace Garden Party well before I was even thought of. Much to my own amusement I went to school with a now Princess, Princess Mary of Denmark, she was in my year, in my school! In 1999 Australia held a referendum asking if we would ditch the monarch and accept a President as our head of state. Like many other Australians I voted no, to retain the consitutional monarchy. It stuck in my throat to do so, as I believe strongly that the Royal Family are expensive, are figureheads and don't serve a political or governmental role in Australia. However, the model that was proposed was inadequate, and undermined our Constitution, which works just fine. I didn't think a President, that was not popularly elected, was enough difference to warrant such a change. The referendum was a missed opportunity. So in our house, there are no celebrations tomorrow. No flag waving, not even a Victoria sponge in sight. I grew up with a urban myth perpetuated by my mother and I'm not sure how true it is, that my mother was in labour on the 2nd of June with me, and was determined I would not be born on the anniversary of the Coronation, and held on until 1.03am the following day. I do feel somewhat churlish that we are not celebrating today. I wonder whether in future years my son will be disappointed that we didn't mark the Silver Jubilee, although they did make crowns at preschool today! I've walked passed shops full of tat for the past month, and resisted the Jubilee cupcakes and teapots and other paraphenalia. I was, however, tempted by a Queen and Prince Philip set of garden gnomes. I have to say, I can't imagine the United Kingdom without the monarchy, I can't visualise what a republic would look like, and I don't think I'll ever see the demise of the monarchy in my lifetime. However in my heart, I remain a republican Australian, so no jingoistic flagwaving from me today. Besides which I'll be at work! I don't want to rain on anyone's parade and hope for those who are celebrating it's a happy day full of sunshine, cake and Pimm's! What am I? I am a mother. I am a blogger. I am a care worker. I live a nice little life in a western country. I can go to bed at night, pretty sure that I am safe. I have enough food to feed my family, enough money to cloth my child. 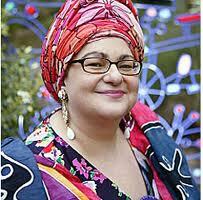 I am not a politician, a human rights lawyer, an international aid worker. What do I have? A tiny corner of cyberspace where I blog about my son, about pregnancy, about babies, help out the odd company, blog for charity, cry, work out my feelings etc. You know what else I have? A community of caring bloggers who want to make a difference. Britmums have brought to my attention that today is a call to action for Syria. I feel so sad about Syria. It seems to have just been brushed under the carpet but a couple of months ago a neonatal unit was shelled and innocent babies, who already had the fight of their lives on their tiny hands, died, in their incubators. This killing has to stop. Someone needs to make this stop. If you want to learn more there is a video here from one of the survivors of last week's massacre in Houla, it's incredibly sad. I know that I blog a lot about charity, and sometimes I worry that you might all start getting charity fatigue, or bogged down by sad stories. And there is a lot of sadness in the world, alongside immense joy too. But this is too important to ignore. 49 innocent children killed in Houla, in their beds, living their lives, not out protesting or causing trouble. And what is so upsetting is that aid agencies cannot get in to where they are needed to help the survivors. And what is certain, is that if you are a child living in Syria, you are not safe. We need to make these children safe. I'm not asking for your money, I am asking for your voice. A simple thing you can do is sign the Save The Children petition. I'm just a mum. But I have a voice. And I want you to listen, and I want you to act.